Close to €120,000 paid out to six players on six big Slot game wins at brand casinos, Crazy Vegas, Maple Casino, Casino Mate and Cinema Casino! (May 16, 2014 – Press release) – April was a good month for some players at Vegas Partner Lounge casinos who struck serious wins while enjoying top-quality entertainment. Crazy Vegas Casino, Cinema Casino, Maple Casino and Casino Mate collectively paid out roughly €120,000 on six individual wins. 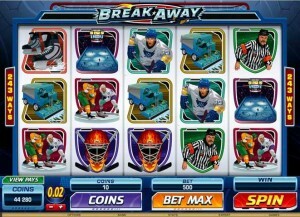 Crazy Vegas Casino :: Break Away slot – PLAY NOW! C.S. struck gold at Crazy Vegas Casino while playing the lightening-speed ice hockey-themed Video Slot, Break Away, taking home AU$14,979. C.K. found success at Crazy Vegas Casino playing High Five, a colourful and endlessly entertaining classic 3-Reel Slot game. With great special features such as massive multipliers and a 15,000 coin jackpot, its little surprise that C.K was able to net themselves €15,435. P.A. struck it lucky on the appropriately named Break da Bank while playing at Maple Casino. The 3-Reel, 5-Payline Video Slot is a fun heist-themed title, and it let P.A walk away with a tidy sum of €16,185 from the vault. P.H. 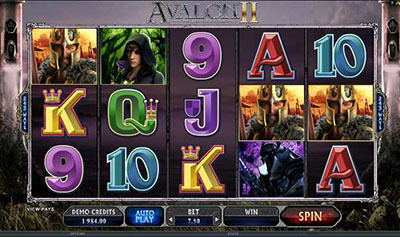 struck a fortune on the 5-Reel, 9-Payline Video Slot Adventure Palace at Casino Mate. Venturing into this perilous jungle proved especially rewarding with the discovery of fabled hidden treasures, a payout of AU$25,400. Better yet, M.A. walked away with even more from Break da Bank’s vault than P.A., a monstrous €27,715, while playing at Cinema Casino. M.A and P.A.’s success on this game demonstrates its potential to payout serious prizes, but neither of them came close Break da Bank’s maximum jackpot prize, an astonishing 60,000 in real currency. Last but furthest from least, W.J. took home a very hefty €27,483. W.J. was at Crazy Vegas Casino enjoying the classic 5-Reel Progressive Reel Slot, Wowpot, when the reels lined up just right. The result was a jaw-dropping win certain to make April 2014 a month they won’t soon forget. With over 650 of the highest quality online games, all powered by industry leader in online gaming technology, Microgaming™, there’s a wide array of options through which to seek that big win. There are numerous banking methods available and all transaction are kept secure via 128-bit encryption technology, a trusted industry standard. Vegas Partner Lounge (VPL) is a gaming group that has been around for over 12 years and hosts some of the most prestigious casinos in the online environment. 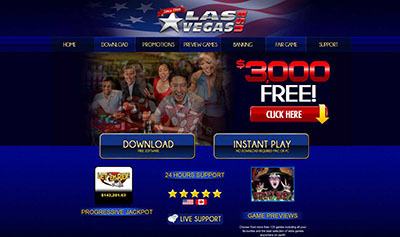 Brands within the VPL Group include: Golden Riviera Casino, Sun Vegas Casino, River Nile Casino, 777 Dragon Casino, Cinema Casino, Maple Casino, Casino Mate, Crazy Vegas Casino, Casino UK and Casino UK Mobile.